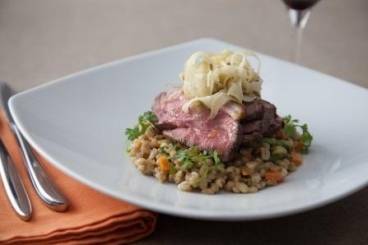 Discover our fantastic selection of lamb rump recipes, all written by our expert chefs. These lamb rump recipes are easy to cook and perfect for cooking time and again at home. Lamp rump steak served with a rich mushroom sauce, crushed and minted crushed potatoes, broad beans and chervil. Classic flavours in a win win dish , perfect to enjoy in a nice spring evening. 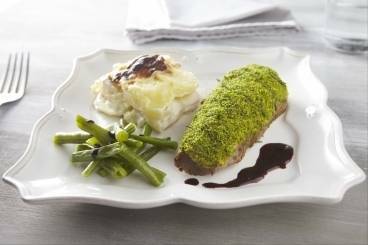 Rump of lamb coated with a mustard, rosemary and parsley crust. Roasted in the oven and served pink. A great Sunday main course. Juicy, sweet lamb, creamy celeriac, all balanced with the fresh sharp mint sauce.